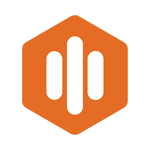 FrontSpin is a call tracking software that requires Salesforce integration to allow users to record data from call and email communications. It provides power dialing, call scheduling, and real-time updates to help small to medium-sized B2B companies drive sales conversion. Here, we cover FrontSpin reviews. Ready to get started? Get a free trial. Users who gave FrontSpin a positive review said that it increases their sales team’s productivity in terms of making calls to get more leads. They also like that it serves as their all-in-one tool that can help avoid repetitive tasks as they can make, record, and track calls and activities using the software. One user who gave FrontSpin a positive review on TrustRadius commented that it helps their representatives reach their quotas and save time by using this software as their only tool to do both the call itself and record the data and call history. Users who gave FrontSpin a negative review said that they have issues with its email features. They noted that there are times that they encounter problems with emails not sending out and that there is a lack of the ability to schedule future emails. One user also commented that sending a list email can be complicated for those who are not yet used to all the functions. One user who gave FrontSpin a negative review on Capterra said that she dislikes that it is unable to view more than the last 30 opened emails, which she finds useless for drip campaigns. She also said that she is not a fan of how the dialing report is set up and that the software encounters frequent glitches. The FrontSpin pricing scheme is not readily available, but there is a form on its website for users to request a customized quotation. Paid apps similar to FrontSpin range from $65-$7,500 or more/month, depending on the features, number of dials, and call minutes included. Ready to get started with FrontSpin? Get a free trial. Best Call Tracking Software: CallRail vs CallTrackingMetrics vs Convirza: Read about our comparison among CallRail, CallTrackingMetrics, and Convirza. This covers what these software types are best for, their monthly rates, ease of setup and use, and the type of customer support, features, and amount of usage included. 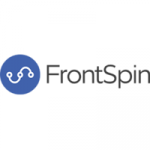 Can I use FrontSpin without Salesforce CRM? You cannot use FrontSpin without Salesforce CRM because it provides real-time sync of the data that is stored in your Salesforce account. If you are considering requesting for a free trial of FrontSpin, you can also sign up for a free Salesforce account that gives you the ability to register two users and save up to 2,000 leads or contacts. Does FrontSpin allow international dialing? FrontSpin has full international dialing capabilities, allowing calls to foreign countries. Once enabled on your FrontSpin account, you will be able to make the international call effectively by using the standard E.164 format, or the international phone numbering plan, for all international phone numbers saved in your Salesforce contact list. Have you read these FrontSpin reviews and are still not sure if it’s the right fit for you? Read our reviews of all top call tracking software providers or check out one of these three FrontSpin competitors.